Alisha is the daughter of two West-Indian immigrants and was born and raised in South Seattle. 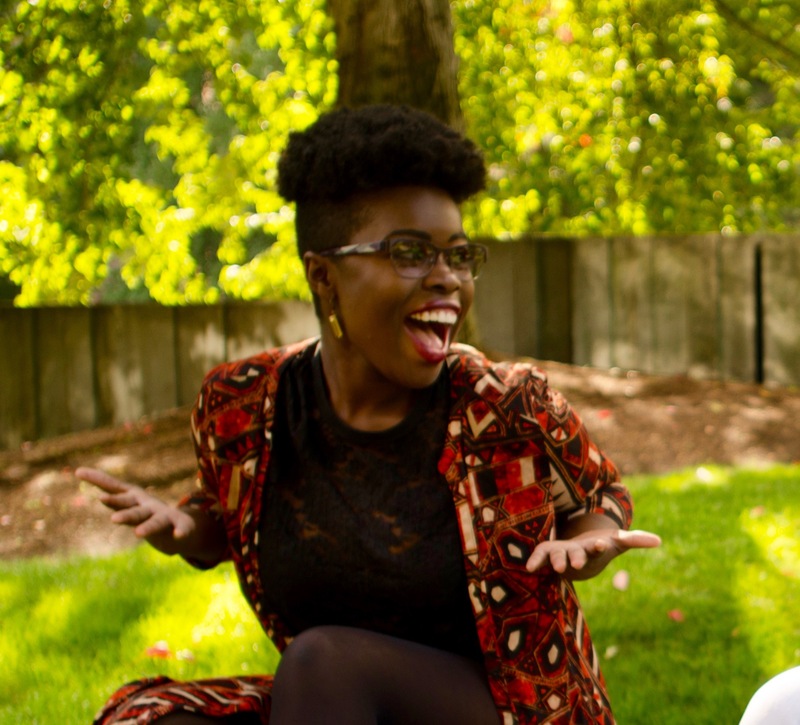 While attending Whitman College as a working class, first-generation student, Alisha found her passion for organizing when she realized a lack of support for students of color attending the predominately white institution. After receiving her B.A., Alisha moved back home to organize with other young people around progressive local politics with a focus on social justice and anti-oppression. 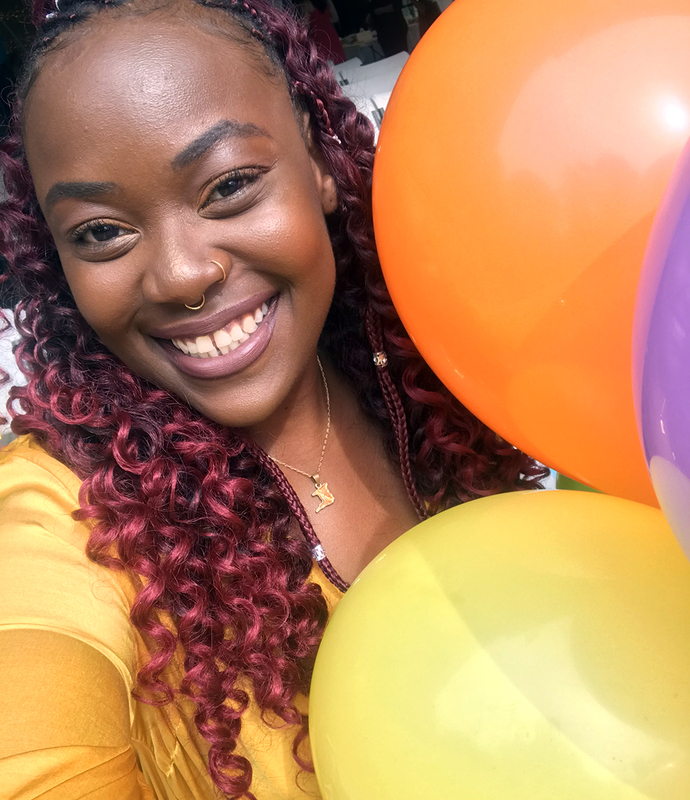 Alisha’s love for sharing knowledge has led her to FEEST with hopes of one day becoming an educator working to create a society where academic success is prioritized for all students, regardless of identity. 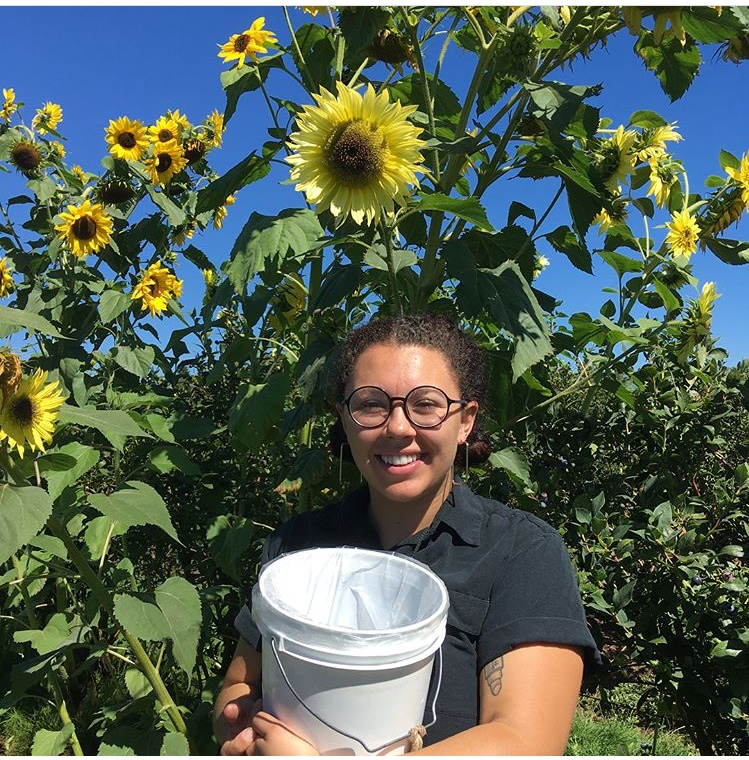 She is excited to explore how her work in food justice can also support her passion for equity in education and is excited to work with the young people of FEEST. Alisha loves the water and frequents the nearest lake when she needs grounding. When she is not working, you can find her watching Youtube videos, spending time with family/friends, writing, and spending time with her first love — sleep. Arista Burwell-Chen is the mixed-race daughter of a Chinese refugee, born and raised in Seattle’s Central District. Her experiences growing up in the Central District drive her passion to organize with communities of color for systemic change, particularly around gentrification and food justice. Living with multiple invisible disabilities, Arista is passionate about organizing sustainably from a disability justice framework, and strives to bring a strong ethic of social generosity and community care to organizing spaces. She deeply believes in youth power because the magic & creativity & joy young people bring to organizing is essential for creating communities we want to thrive in. 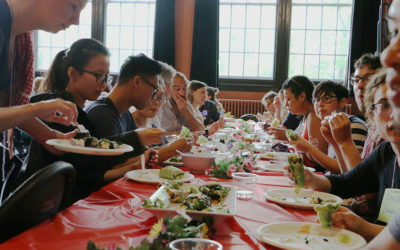 Outside of her work with FEEST, you can find Arista fighting displacement with the Chinatown International District Coalition (#HumbowsNotHotels), hanging out with elders on the CID Block Walk, and dreaming up recipes for whatever fruits and veggies are in season at Lee’s. Arista is weirdly obsessed with the Harry Potter books, happens to share the same birthday as Voldemort, and may or may not have won Harry Potter trivia dressed as Dumbledore. She graduated from the University of Washington, where she triple-majored in Communications, English, and Political Science with a focus in Critical Race Theory. By way of San Diego, Lisa is a first generation Taiwanese-American organizer that has focused the last ten years of her career on empowering working class communities of color in systems change work. She became politicized as a college student when she saw the contradictions of the University refusing to give their food service workers a living wage while at the same time raising student fees at an alarming rate. She organized student-led advocacy campaigns that related to access and affordability for low-income students of color, in-state tuition for undocumented students, and a fair union contract for service workers. She then moved to San Francisco to work at the esteemed Asian Law Caucus as a community advocate leading campaigns to end deportations of Asian undocumented youth and organize for comprehensive immigration reform at the national and state level. She landed in Seattle to work for a union that empowered housekeepers to advocate for better working conditions and livable wages. Her political identity stems directly from growing up as the only child of an immigrant single mother where she saw first hand how limited English workers were treated unfairly. Her relationship to food is rooted in her experiences growing up eating Burger King and McDonald’s out of convenience and seeing the ongoing mental and physical health impacts. 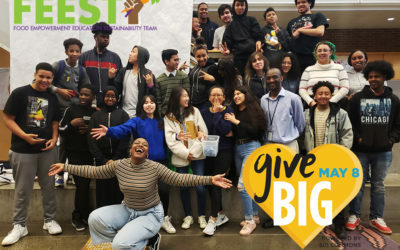 She has a special place in her heart for youth work, and believes deeply that transformative breakthroughs in young people will shift our communities to act from a place of love instead of anger. In her spare time you will find Lisa camping in the Cascades, trying new soup recipes, and patiently waiting for pumpkin season to roll in and feed her endless pie craving. Sierra is a mixed Black Cherokee and White South Seattle local bringing three years of campus organizing experience at Western Washington University to FEEST. Originally starting college in Pennsylvania at Allegheny College, Sierra’s experience transitioning from a low-income community of color to a rich, white, elite institution sparked their journey toward radically reimagining wholeness in a school context. Sierra’s journey towards self-understanding and reclamation was greatly informed by their exposure to living a life of duality; being both Black and White, growing up both working class and with privilege, and exploring indigeneity while living under colonialism. Living life within two opposing worlds has fueled Sierra’s passion to collectively imagine alternative spaces where queer, differently abled, and low income youth of color are joyfully whole. Sierra is inspired by the radical understanding of self that today’s youth embody. They are constantly blown away by the work of youth of color, particularly Black youth, who are making their experiences known and demanding power. In their free time Sierra likes to ride their bike around Seattle, bake pies (strawberry rhubarb is their favorite), and make art on their porch with their friends. One day Sierra hopes to become an avid kickboxer, a licensed tattoo artist, and learn how to successfully keep their plants alive. Milo Jackson is from Phoenix but currently resides in Seattle, where he has been living for the last 6 years. As a transplant from the desert, Milo is very eager to soak up the Pacific Northwest’s drizzly beauty while learning about the deep roots and history of the people of Seattle. 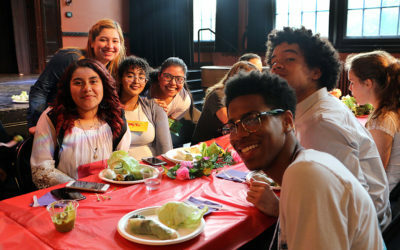 His experience moving to the Central District as a young person to attend Seattle University and study film led to him unpacking his privilege and decision to live in a neighborhood that is rapidly changing. Conversations were spun off of meeting his next-door neighbors, who became featured in his music documentary Here I Go Again about the legacy and importance of the band Septimus to the funk and soul scene in Seattle. Through community building and filmmaking, he discovered the impact that gentrification has had on his neighborhood, which has been both quick and devastating. With the encouragement of his teachers and mentors, Milo learned to channel his energy into a passion for teaching and working with young people. 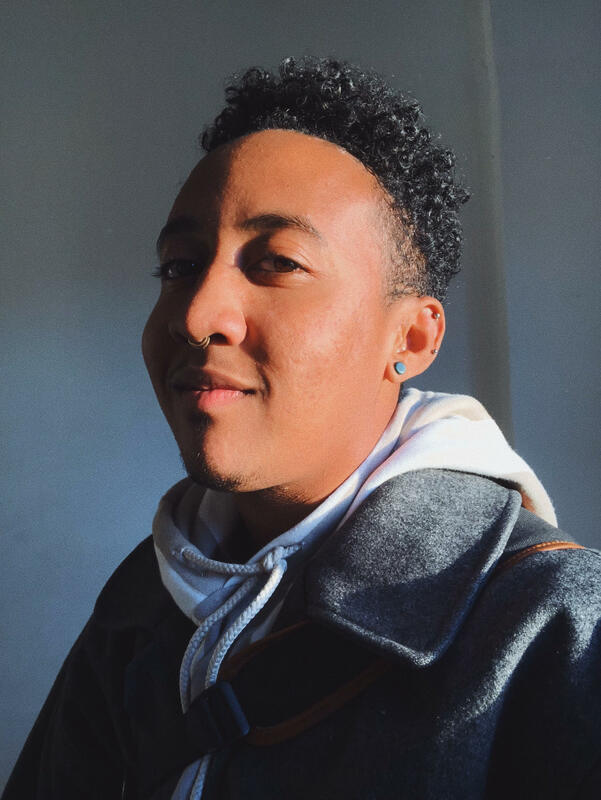 The goal is to foster authentic and safe healing spaces for people of color, especially those who are queer and trans like him, to strengthen and grow through creativity and reflection. He loves to witness young people come into their full selves through art and hopes to encourage others to continually be exploring themselves and the world around them. Outside of working with young people at FEEST’s magical dinners, you can find Milo exploring new neighborhoods with his black lab named Honey, checking out food spots all around Seattle, and working on rewatching every single movie on his “favorites” list. 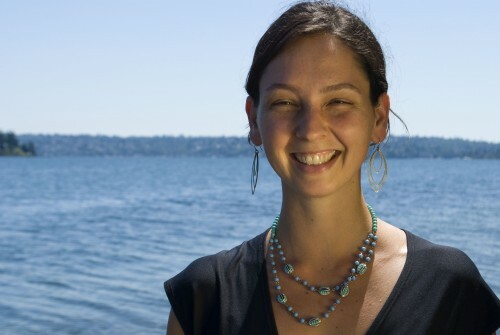 Becca comes to FEEST with six years of non-profit and organizing experience in the Seattle area. Previously she was Community Engagement Program Manager at Forterra where she worked throughout South King County on food access and policy change. 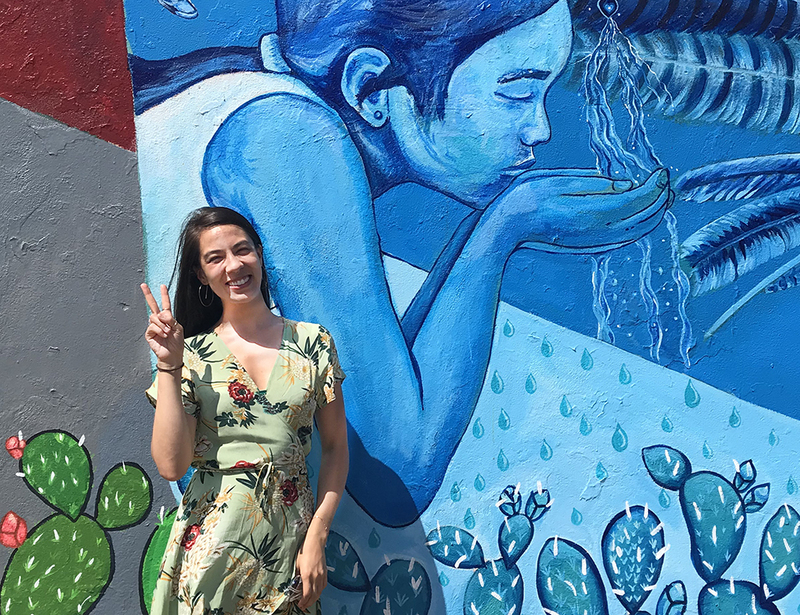 Becca is passionate about the intersections of health and justice and is thrilled to be joining the FEEST team as Development Manager to support youth empowerment and food justice systems change. As an organizer, Becca educates and organizes white folks for racial justice. Locally she is on the leadership team of the Coalition of Anti-Racist Whites and nationally she works with Showing Up for Racial Justice. Becca grew up in the PNW and is blessed to have a big family and strong community around her. In her free time you can find her making sauerkraut, spending time outside or learning to play the piano. Zumi is a trans/queer martian Yonsei, originally from the deserts of LA. He used to aspire to be a fashion designer but by way of life, he’s taken his rocket through the worlds of political theater, sci-fi filmmaking, sexual health education, queer youth organizing, worker organizing, and kitchens. For over a decade, Zumi has been navigating being a restaurant worker while being queer, femme, trans, androgynous, and masculine (all of these expressions simultaneously). 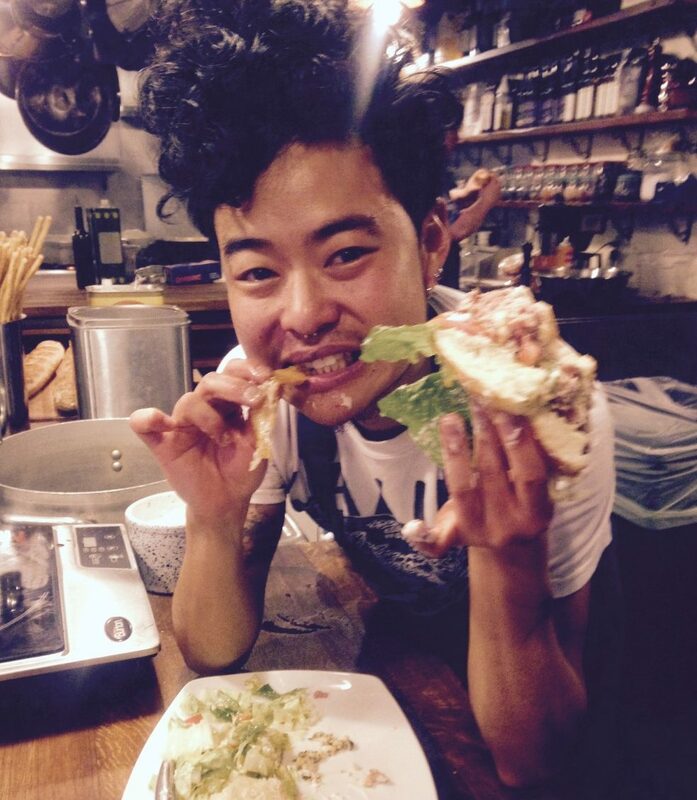 As a worker in many hierarchical kitchens, he has aimed to evolve kitchen culture to be zero percent racist, misogynistic and patriarchal, and in return two hundred percent about connection and creativity. Although this has always been a steep challenge, it has been a survival practice. In a previous Los Angeles restaurant, Zumi was able to build worker solidarity with his co-workers and eventually launched a worker organizing campaign that successfully pushed back against wage theft and disrespect in the industry. He learned that there is infinite power in the people, that worker justice is food justice, and that we have a lot more transforming to do. Zumi is forever dreaming of making food with people he loves, for people he loves, and is stoked that he gets to do this in the FEEST kitchen. He sees that young people of color are bursting at the seams with brave and radical creativity, and is so honored to be in the realm of this magic. With lots to learn, and lots to explore, Zumi is a hungry creature with wide eyes and a grandpa spirit, SO ready to revolt in love with ya’ll. Leigh Thomas is a Black, queer artist who first encountered FEEST as a teenager participating in weekly dinners at Youngstown Cultural Arts Center. Since then, they have continued to develop as an artist, community organizer, and storyteller. Leigh joins the FEEST staff with ten years of experience as a communications professional, helping nonprofits to better tell their stories and deepen connections within their communities. Outside of work, Leigh is a musician, poet, cat parent, and Star Trek fan. They enjoy laughing with friends, eating blueberry pancakes, and trying out new fashion and makeup trends. Over the years, Leigh has spent time organizing around LGBTQ youth rights and racial justice through both grassroots and “mainstream” channels. They believe strongly in the arts as a tool for transformation and are committed to fostering community liberation and radical joy.